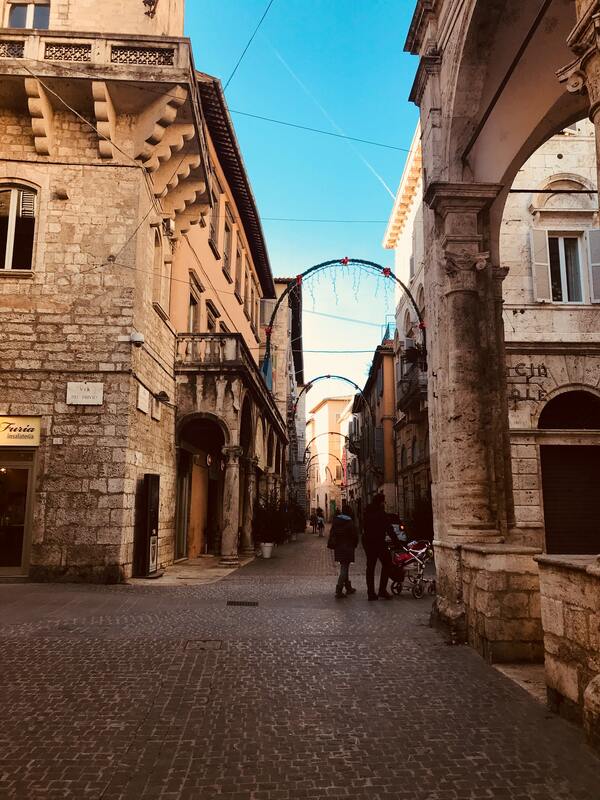 Departing at 7:15 AM from Massimo D’Azeglio Hotel by a deluxe coach, you will arrive in Assisi where you can explore this tiny town, surrounded by walls built in the middle ages at your own leisure. Make time to visit the Basilica of St. Francis, where you will see masterpieces by Giotto and Ciambue, and to have lunch (not included). Board the bus for Siena, a medieval town surrounded by ancient walls that is known for the Palio, an annual summertime horse race around Piazza del Campo. Next, you will continue on to Florence, where you will check into your hotel before enjoying dinner and a well-earned night of rest. On the way, you will see the coastline scattered with small fishing villages including the old village of Dibba, once a strategically important settlement, with a stunning view of the Indian Ocean. Continuing along the coastline, you will arrive at the oldest mosque in the country. The Al Badiya Mosque was built in the 17th century. Afterwards, you will reach the warm coasts of the Indian Ocean and the Gulf of Oman. Afterwards, you will check-in and enjoy dinner at the hotel. After breakfast, you will spend the day venturing around beautiful Florence, the “cradle of renaissance, where, with the help of Michelangelo, Italian art reached its pinnacle. Based on Etruscan-Roman origins, the city flourished in the middle ages as a free “comune” and was further refined by the renaissance. You will be fascinated by its numerous monuments, churches, and buildings, as Santa Maria del Fiore, more commonly referred to as the Duomo. 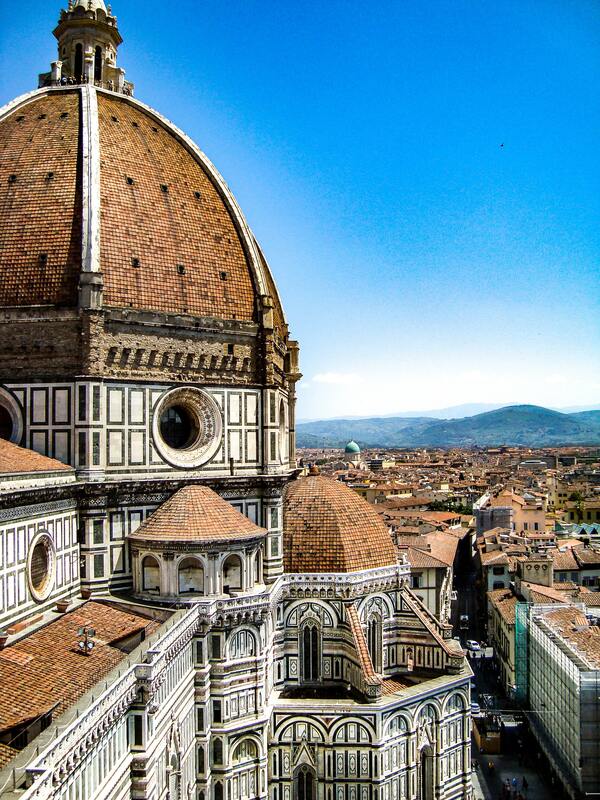 On your visit, you will be amazed by its magnificent dome built by Filippo Brunelleschi. Cross a small piazza to see the campanile tower (partly designed by Giotto) and the baptistery, with its bronze doors that Michelangelo dubbed the “gates of paradise.” In the heart of the city, you will see Piazza della Signoria, Palazzo della Signoria (also known as Palazzo Vecchio), and the Basilica of Santa Croce. Lunch in a typical Tuscany restaurant in Santa Croce square. Spend the afternoon strolling the cobblestone streets of Florence on your own or take a short trip to Pisa (optional), one of the four main historical marine republics of Italy. There, you will tour the square of miracles, which houses the Duomo, the leaning tower, and the baptistery. Overnight stay. Cross a small piazza to see the campanile tower (partly designed by Giotto) and the baptistery, with its bronze doors that Michelangelo dubbed the “gates of paradise.” In the heart of the city, you will see Piazza della Signoria, Palazzo della Signoria (also known as Palazzo Vecchio), and the Basilica of Santa Croce. Lunch in a typical Tuscany restaurant in Santa Croce square. Spend the afternoon strolling the cobblestone streets of Florence on your own or take a short trip to Pisa (optional), one of the four main historical marine republics of Italy. There, you will tour the square of miracles, which houses the Duomo, the leaning tower, and the baptistery. Depart for Bologna after breakfast in Florence. There, you will wander through the city’s 38 kilometers worth of elegant arcades (or porticos), for which Bologna is famous. From Piazza Malpighi, walk to Piazza del Nettuno and Piazza Maggiore (Neptune square and Major square) in the heart of the city, where you will find Neptune fountain; King Renzo Palace; Podestà Palace; and the Basilica of San Petronio, one of the biggest in the world. In the afternoon, continue toward Padova, with its original Sant’Antonio basilica. 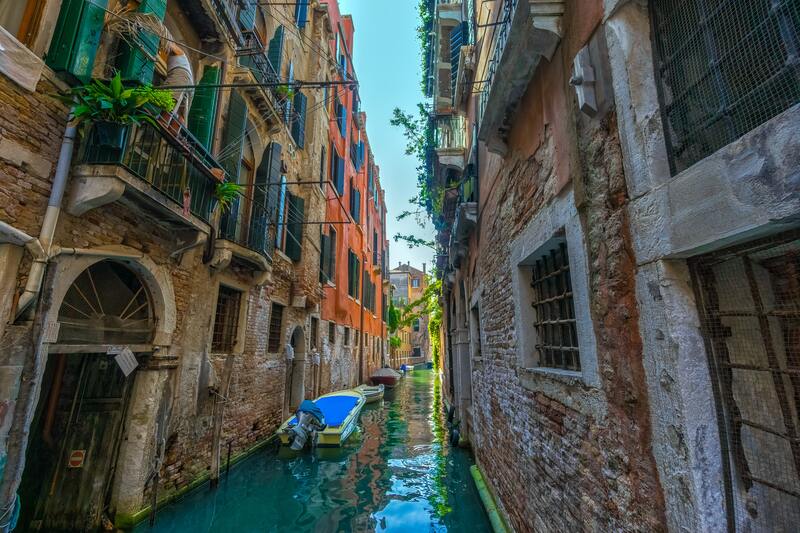 Later, you will arrive in Venice, world-renowned for its classic gondola boats and its elegant, refined art. Check in your hotel and enjoy your first Venetian dinner. 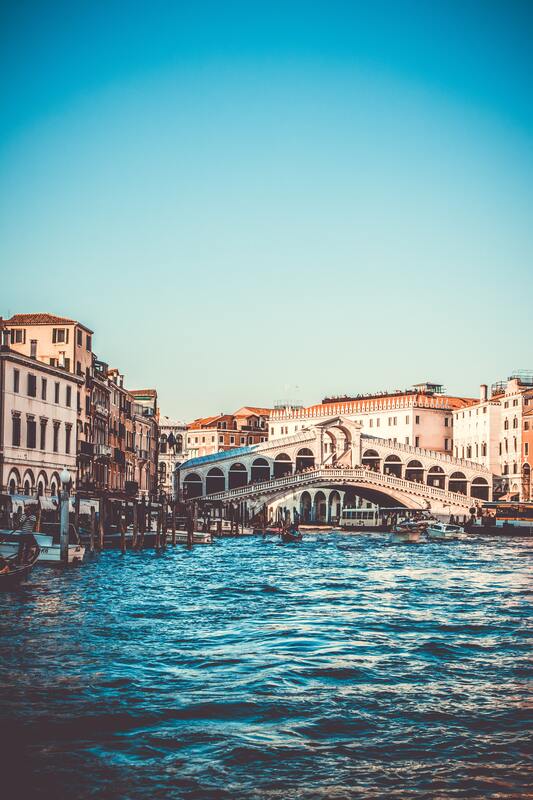 Hit the water after breakfast as you board a private water bus to enjoy St. Mark’s Square, interior visit of the splendid cathedral, the Dogi Palace, a symbol of the glory and authority of Venice as it housed the seat of the government and the court of justice. Nearby you will see the legendary bridge of sight. Spend the afternoon roaming along Venice’s canals at your leisure and then return to the hotel for dinner and relaxation. Once you eat breakfast, depart from Piazzale Roma to Tuscany, known for its romantic churches and castles and its delicious wines. 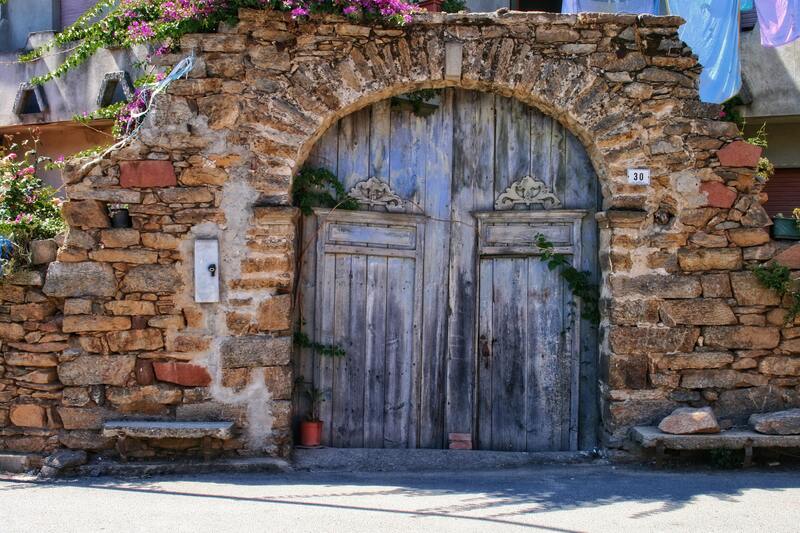 You will proceed to val di chiana with a stop in Montepulciano, a medieval town rich with history and art. Known for its “nobile” wine, which can be purchased in wine houses in town, Montepulciano is also the host of an annual jazz and wine festival every July. Spend the afternoon getting to know Montepulciano at your own pace, free wine tasting in many shops and free time for shopping. In the evening, you will arrive in Rome, where the tour will conclude. 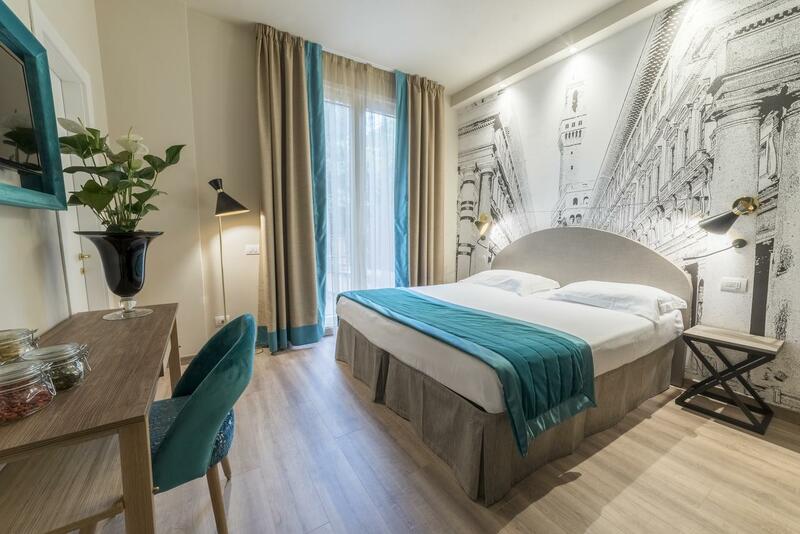 FH Grand Hotel Mediterraneo is set on the banks of River Arno, 0.6 mi from Piazza Santa Croce. Rooms offer free WiFi, and there is an à-la-carte restaurant serving Tuscan dishes and special diet menus. Air conditioned and en suite, rooms include a satellite TV and mini-bar. Some have panoramic views of the river, of the hills surrounding Florence, or of Piazzale Michelangelo on the other side of the bridge. All rooms feature parquet floors and marble bathrooms. The Mediterraneo FH Grand Hotel features a cocktail bar and a lounge where guests can relax. Breakfast is served daily and includes gluten-free products. Half-board is a varied 3-course dinner with choice of starters, main courses, and deserts. Gluten-free dinner is available on request. On-site facilities include an internet point with 4 computers, a garage, and bike rental. Public buses stop 1,000 feet away. Firenze Campo di Marte Station is a 15-minute walk away. 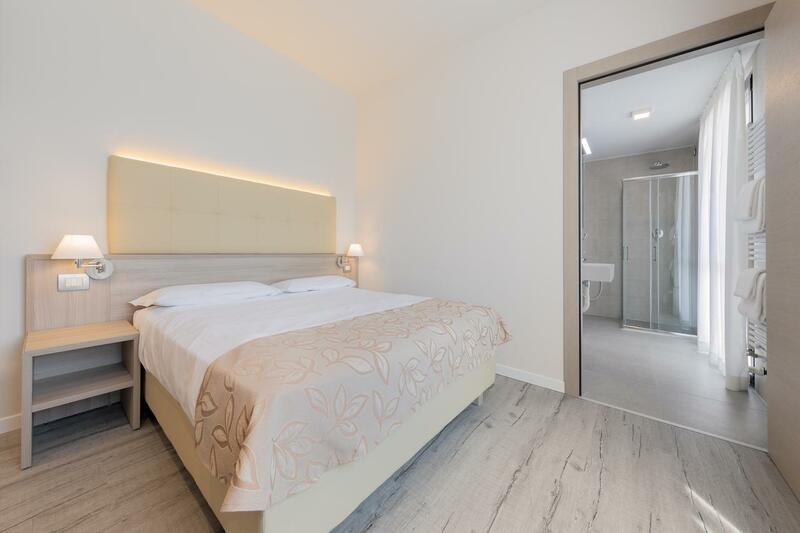 Quality Hotel Delfino is on Mestre’s Corso Del Popolo, a 10-minute bus ride from Venice. The hotel’s spacious rooms offer a private bathroom, free WiFi, and an LCD TV with satellite channels. Guests can enjoy a continental breakfast with international favorites, available daily. Mestre Train Station is 2,650 feet from the property. Quality Delfino is a short drive the Riviera del Brenta, Treviso is 19 mi away.